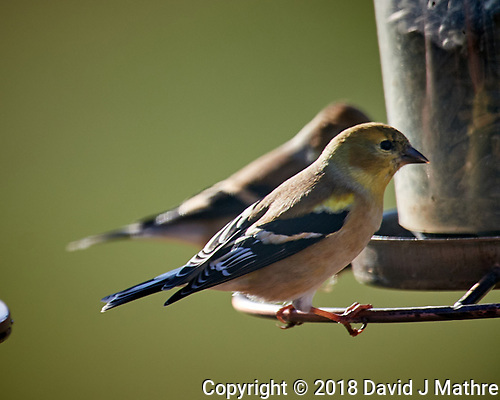 Some bird activity at the bird feeders — American Goldfinch and Blue Jay. But then the rogue Black Squirrel figured out how to get up and work on the sunflower seeds. Afterwards, I reconnected the electric fence cable to the bird feeders. It shouldn’t impact the birds since they don’t touch both the ground and feeder at the same time. The squirrel on the other hand has two paws on the grounded center post.